The City of Vancouver has filed for an injunction to stop CP from reactivating the Arbutus Corridor rail line or from further destroying community gardens along the route. The City of Vancouver has filed for an injunction to stop CP Rail from reactivating the Arbutus Corridor rail line or from further destroying community gardens along the route. "Today's action in B.C. Supreme Court is a reflection of the city's longstanding commitment to ensuring the corridor is protected as a greenway for the benefit of all Vancouver residents," said Vancouver Mayor Gregor Robertson. "The refusal by CP to reach a reasonable agreement on the future of the Arbutus corridor is tremendously disappointing and frustrating." Well-known constitutional lawyer Joseph Arvay, who has gained something of a reputation for successfully arguing a number of lamdmark constitutional cases, will be leading the civil action for the city. "Permanent and interlocutory injunctions will also be sought to restrain CP from operating the Marpole Spur as a railway, from initiating further construction, demolition or clearing of gardens on the corridor, and from the spraying of herbicides," said the city in a statement. CP Rail has said the land is worth more than $400 million, but it offered to sell it to the city for around $100 million. The city says it is not prepared to pay more than a figure somewhere in the range of about $20 million . CP Rail, which has owned the right-of-way for 120 years, sees the property—which is wide enough for single or double lots—as having the potential for a mix of commercial and residential development. But in a 2006 Supreme Court of Canada decision, the city won the right to have the final say on development along the Arbutus Corridor. The court rejected a CP plan to develop the corridor for commercial and residential use. In the meantime, the railway company maintained it still had the legal right to run trains on the line. In August, in what the city described as a negotiating tactic, CP Rail announced plans to reactivate the rail line. 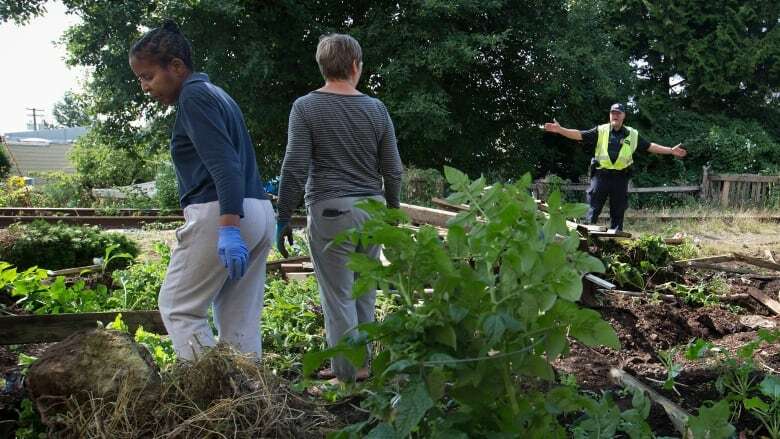 It brought in heavy equipment and began tearing down structures and removing the community gardens that local residents had nurtured for years along the disused Arbutus Corridor. Will CP trains return to Vancouver's Arbutus Corridor?